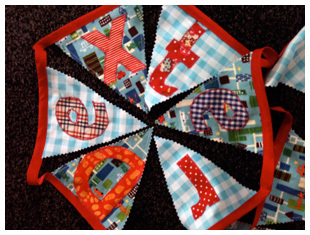 I am happy to undertake commissions for personalised items, or those including a special piece of fabric, ribbon or button. 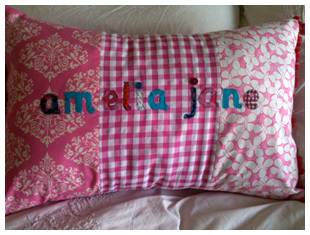 A named cushion or bunting is an ideal and unique gift for a new arrival, birthday or Christening and can be made as individually as you like! I have featured dinosaurs, butterflies, elephants, boats, cars. flowers… the list is almost endless. All will include some vintage or repurposed fabric or embellishments.